Charleston is currently the deepest harbor on the East Coast, but plans are to make it even deeper — 54 feet — to accommodate larger cargo ships. 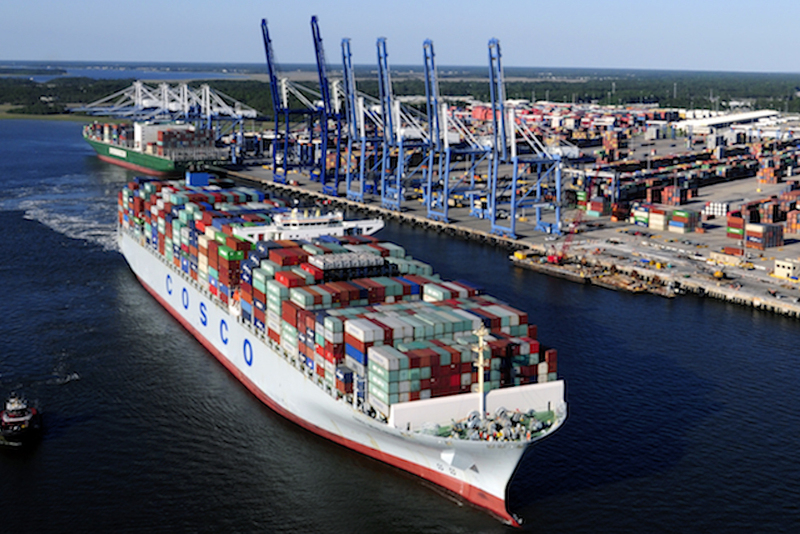 “It’s called the Deepening Project, but it is about overall harbor improvement,” Barbara Melvin, chief operating officer of the South Carolina Ports Authority (SCPA), told Palmetto Business Daily in a telephone interview. In addition to depth, the harbor also boasts — and wants to improve — its superior width. Efficiency is improved when there is enough room for ships to pass one another freely in and out of the harbor, rather than having to wait in line. According to a March 13 press release issued by the SCPA, the president’s recommendation means the ports authority is eligible to receive the funds pending Congressional approval of the Energy and Water Appropriations Bill. Melvin said all of South Carolina’s Congressional delegation, on both sides of the aisle, favor the appropriation. Harbor infrastructure deepening and expansion began in 2018 with the Army Corps of Engineers awarding two dredging contracts, and the entire renovation is expected to be completed in 2021, making the whole project last only 40 months. With its $138 million recommendation, she added, “The administration has made an extremely strong statement” about the importance of the project. Want to get notified whenever we write about ? Next time we write about , we'll email you a link to the story. You may edit your settings or unsubscribe at any time.